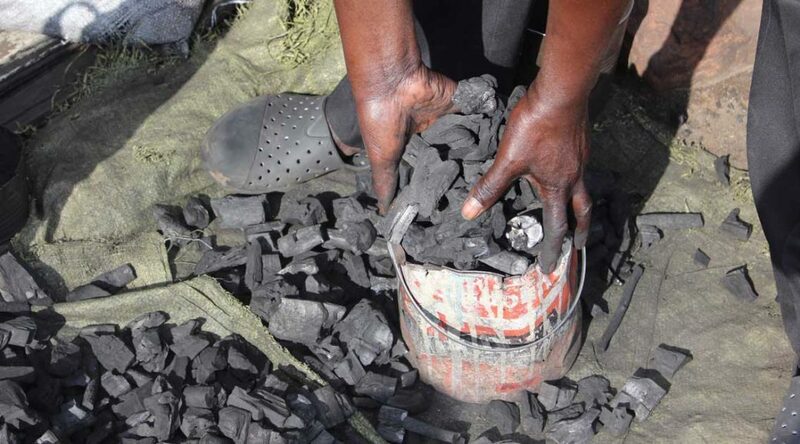 Peter holds a handful of the charcoal that he sells to sustain his family. Peter, from Kenya, is 48 years old and a single father of eight children. Peter supports his family through a charcoal business, which he was able to expand with the help of the Unbound mother’s group to which he belongs, and support from the sponsorship of two of his children. But being a single father can be a tough job. Fortunately, Peter didn’t have to go without a support system for long. Unbound had a program in his neighborhood, and soon enough a solution presented itself. Peter’s son Delic was sponsored by Anne from New York, and his daughter Esther was sponsored by Cecelia, also from New York. Peter started receiving assistance with the school fees and supplies for the two children who were sponsored, and the entire family benefited from the nutritional support. Because the Unbound program allows families to make their own decisions, he was able to decide where the assistance could be put to best use. Peter joined the local mother’s group and became an active member. Though the majority of members are women, they do allow fathers to join in some instances. Peter pours out a bag of charcoal to be divided into smaller amounts. 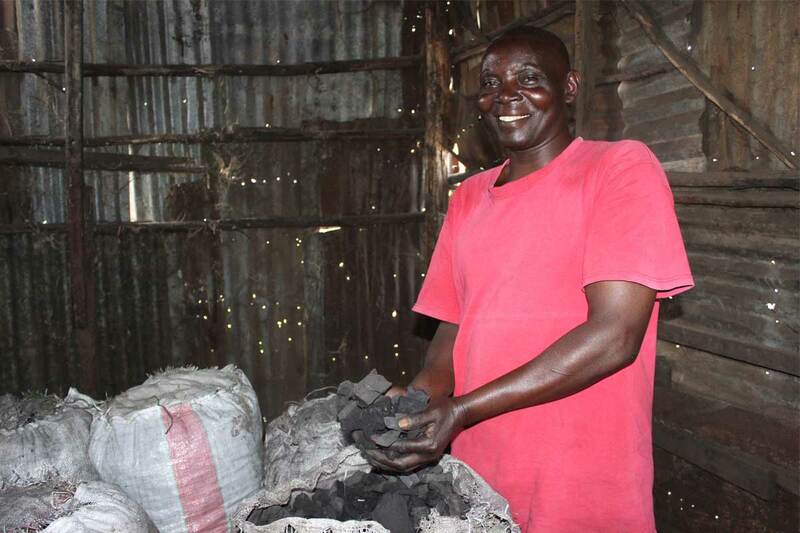 Peter first learned the charcoal business from his own father. As a young man, he helped his father make and sell charcoal. 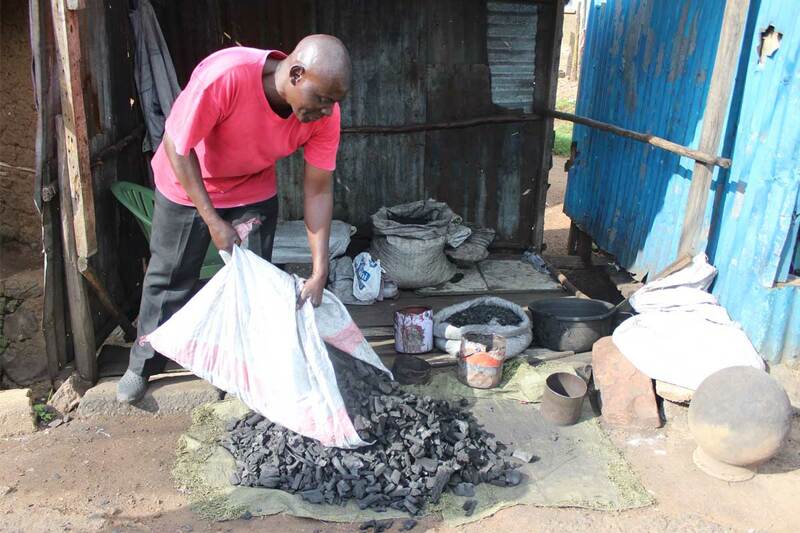 Now, Peter purchases the charcoal wholesale in bulk and sells it in his community in smaller amounts. It is a difficult job, but it sustains his family and he enjoys it. Peter is able to motivate himself to do his best every day knowing that he is doing it for his family. Peter’s story is a testament to the way Unbound’s program lifts families out of poverty by encouraging mutual support and assistance, both within local communities and through the help of a sponsor.